underwater. When golfers hit a golf ball into a water trap, a good number of them will look at the offending obstacle, mutter something nasty and then settle in to launch another white ball. (sounds like my wife golfing with her friend Dr. Stefanie Mikulics) And although the golf balls got there inadvertently, their location is no secret. That’s where a golf ball diver comes in. To cash in, a professional golf ball diver needs to get them out. For a diver, a bad day of golf translates to a good day of work. What does a Golf Ball Diver do? A golf ball diver is a professional recycler: After the golf balls are retrieved, they are then cleaned, repackaged & resold. Before they begin working at a golf course, the divers typically arrange a formal meet up with its manager or owner to agree on the terms of their job. For instance, the course charges the professional diver a fee for the prospect of harvesting the ponds. The diver and the course representative will have to negotiate the price – and then have a discussion on whether that fee is to be paid in monetary terms, in recovered golf balls, or even a combination of both. multiple days so as to finish a job. Depending with the size of each pond, the diver will recover balls with the assistance of a roller or a dive crew. Using a roller is faster compared to a dive crew, although dive crews can be more thorough. Dive crew. A dive-crew usually includes 3 people. Equipped with standard-scuba gear, 2 divers will enter a pond and then feel for the balls by hand. This is because the water is so black & murky that one has no other option than to dive by feel. The divers will load the golf balls into baskets and then pass them to the remaining crew member on land. This crew member also ascertains the safety of the other divers and helps direct them effectively so they can comb the entire-pond. Roller. Dive crews composed of two persons may work with a roller. A roller consists of metal discs on wheels. The metal grooves on the roller grasp balls as it moves about through the water. Crew members normally stand on the ground at the pond’s opposite ends and guide the roller through pulling on a wire connected to it. In case the roller gets stuck in rocks or mud, one of the crew members will dive underwater to free it. After they’ve combed the pond, crew members will pull the roller to the ground and then pop the golf balls out. Rollers are generally limited by the pond’s size: Some ponds are too big to accommodate a roller. What’s it like to be a Golf Ball Diver? Diving for golf balls might sound more like amusement than work. But there are numerous factors that aspiring professional golf ball divers should consider. For instance, finding steady work could be a challenge. An independent diver contractor will provide everything indispensable in the way of tools of trade, such as all necessary gear and being able to securely convey and store heavy items. Once the truck is filled with several bags, each storing around 15,000 golf balls, the professional diver will coordinate shipping approval with the area dive manager. He will bring the golf balls to a freight company where he then gets to “builds” pallets of golf balls and shrink- wraps besides also labeling the pallets. Work Environment: A golf ball diver generally works in adverse conditions in the pond. For safety reasons, they will prefer to work in crews since they may face danger from wildlife, like alligators, and from items hidden underwater. Also, the scuba equipment can be rather heavy, so obstacles like a fishing line might trap and drown divers. The tasks are physically demanding, tiring and repetitive. For instance, divers are oftentimes on their knees in mud as they search for balls. The work schedule of a diver will largely depend on golf course events. A golf ball diver may have to work as soon as the golf course has nothing else scheduled, therefore they must be available any-day of the week. 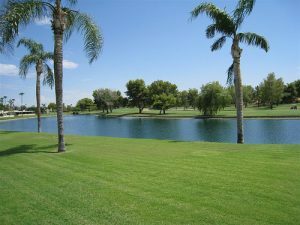 As an independent contractor, a diver conducts his business during the daylight hours, taking necessary precaution not to damage golf course property and considering the golfers; although that might not always go both ways. 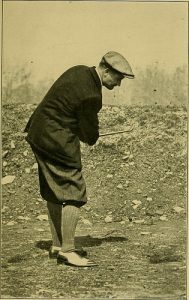 Employment And Wages: The United States BLS (Bureau of Labor Statistics) doesn’t collect data specifically on golf ball divers’ employment and wages. 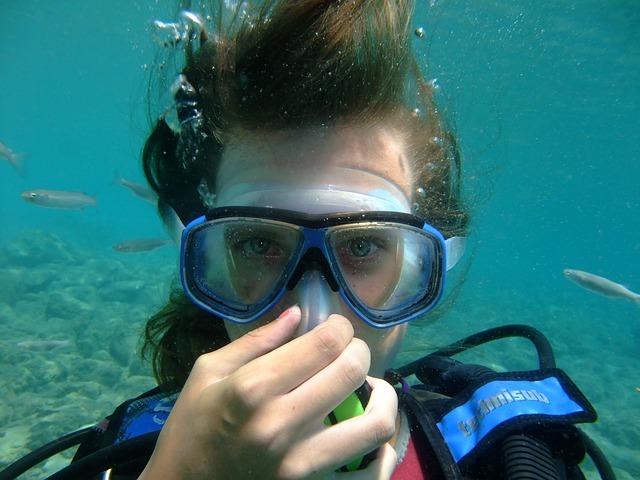 Instead, BLS generally groups them together with commercial divers. Typically, a golf ball diver will earn money for each golf ball they recover. 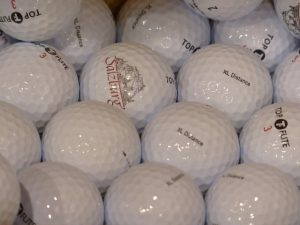 Buyers consist of the golf course, golf ball companies and retailers. Anecdotal information suggests that a professional diver averages an income of around 7 to 12 cents for every golf ball, depending on what type it’s. With a diver’s hauls of thousands of balls on average each day, earning about $200, professional golf ball divers can make around $100,000 per year diving to collect the errant little white balls. But, as independent contractors, golf ball divers must account for taxes & benefits (such as paid leave, insurance, and retirement savings) from this amount. A golf ball diver must be very detail- oriented, and plan his diving schedules weeks, or even months in advance. He should be able to carefully coordinate his schedule with the area dive manager. This occupation often requires lots of travel, so it may be a tough job for anyone with a family. Golf ball divers must be at-least 18 years old and also be certified for unrestricted commercial-scuba diving. Divers may be needed to have proof of at least open-water certification through an accredited scuba diving program or �on the job’ training. Certification may require up to 200-hours of dive experience, which includes low-visibility diving, underwater navigation, as well as search & recovery.